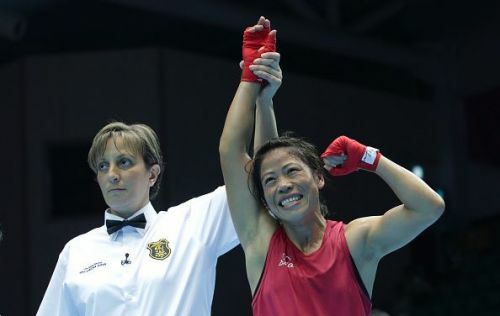 New Delhi, Jan 15 (PTI) India's top women boxers, including six-time world champion M C Mary Kom, are among 60 pugilists short-listed for the national camp, which began at the IG Stadium here Tuesday. The World Championships and the 2020 Tokyo probables will also be short-listed from here. The Boxing Federation of India (BFI) has also rewarded pugilists who were among the medals and showed promise at the recently-concluded third Elite Women's National Boxing Championships at Vijayanagar, Karnataka. The campers also include the World Youth gold medallists, Nitu (48kg) and Sakshi (57Kg) and 2017 bronze medallist, Astha Pawa, (75kg) as they were elevated from youth division to senior camp for the first time. The selected 60 comprise a mix of young as well as experienced boxers. S Kalaivani of Tamil Nadu, Himani Pant of Uttarakhand, Rinki Sharma of Uttar Pradesh, Manju of Madhya Pradesh, Sohini of Chandigarh, Monika of Himachal and Lalita of Rajasthan are some of those who have been rewarded as BFI also looks at the future prospects. The campers will have the benefits of 10 support staff, including doctors, physiotherapists, masseurs, nutritionist and video analysts. The first tournament that the boxers will be aiming after a month-long camp is the Strandja Memorial Cup Boxing to be held in Bulgaria from February 13 to 28.